Good morning from Orange County everyone! I’m a totally excited (and caffeinated. HeHe!) wedding photographer in Newport Beach right now! As I’m taking a break from packing & purging Esquire Photography HQ – preparing it for the move & the BIG NEWS I have coming up about the business on August 9th, I just had to share a note I received from Angela & Andrew about their Oakland Wedding and Rehearsal I recently had the honour of photographing at the Hilton Garden San Francisco/Oakland Bay Bridge. I am really humbled with notes like this and my couples really inspire me to continue to be a wedding & portrait photographer from Newport Beach & Huntington Beach to Los Angeles, San Diego, London and more for nearly 30 years. We are so happy with the wedding photos. We want you to know we will be sending out emails to family and friends this weekend and registering with the Pictage web site. We are adjusting well with lots of love and support. We wanted to make sure that there is no reflection on such a wonderful service David provided to us. The love is so evident in our wedding photos and so much fun to look through. In all the weddings we have been to we have never seen such emotion and originality covered on film. A true blessing. We can’t wait to have some of our wedding photos in our new home! lots of love, peace and blessings! UBER PS! 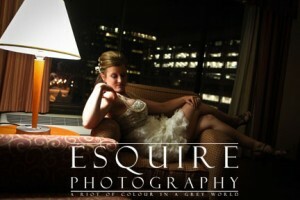 About that big announcement on August 9th, it’s not just a VERY BIG announcement about Esquire Photography, but one that affects me personally as well that you’ll want to be ready for. Stay Tuned!!! to show some love for the testimonial I received about Angela & Andrew’s Oakland wedding I had the honour of photographing!